Will this GRF be compatible with the UK Roads and UK Railway Tracks GRF's??? The new rail specs means it will be compatible with all track sets, thgergo will need to add compatibility for uk roads himself however. Some more heads, the other side needs to be drawn next. but gamewise: understood, nice bridge! And I agree, those bridges look awesome! 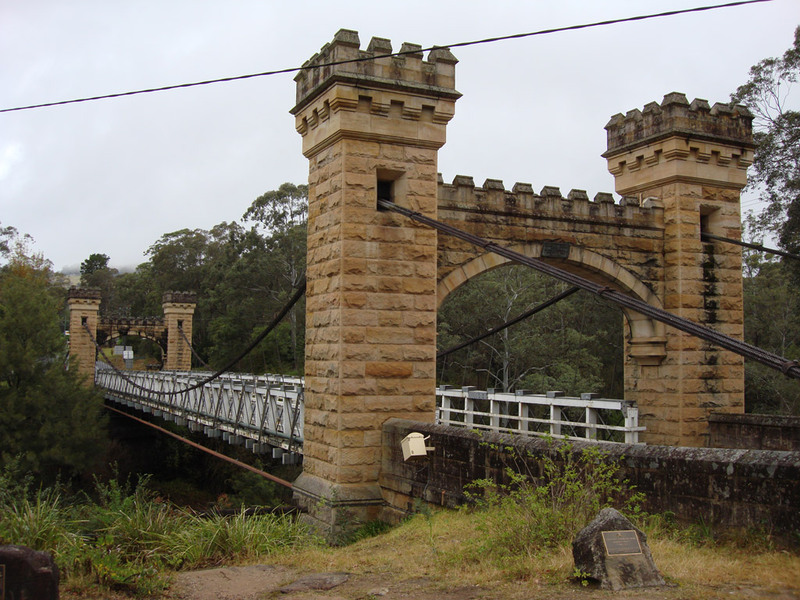 It reminds me of the Hampden Bridge which is the nearest road-bearing suspension bridge to where I live. It could also pass as a Brooklyn-esque bridge. Agreed, the bends should be more like a parabola by a little. It bends a little more now. Also some bonus, mossy painting via recolour sprites for maglev Although it looks strange. Hi, I've drawn sprites so it is compatible with the UK-road set. I've used that GRF for personal use, but some people ask me to make it public. I guess the best place is to incorporate it in your GRF. So I hereby donate the sprites, hope you can use them! Thanks for that, it could be usable, but only for me the whole pcx looks like it has corrupted palette. Some dark grey tones has been replaced with pink windows grf colors. I might be wrong, but this may lead same palette mismatch is output newgrf. Apart from that, I might create an automated bridge surface creator, a script which creates an overlay on certain sprites, and add appropriate newgrf code for it. So when this piece of code is finished, adding one road surface would be a lot easier, just supply it with some road graphic. But this lead the result newgrf bigger, the the compatibility issues just became automated, the proper way be still an implementation to road graphic overlay, like tram "roadpieces". Would be nice indeed, 2x zoom makes my work 4x harder, 4x zoom makes it 16x. My bridges have been drawn by hand, other's drawings aren't an exception, I think. More zoomlevels, needs 3D modelling, then rendering, otherwise it could be just ugly. An 2x zoomlevel roadset + bridges could be nice. How about support for my illusive Combined Roadset, of course without the bridge part? Hard: no. A lot of work: yes. A small update, the replacement suspension bridges has been incorporated into the grf! Finally if someone wants to try them ingame here you go. Compatible with the current version, since this one has only eye-candy differencies. Simply AMAZING. Could you please add them to BaNaNaS so we could play with them on servers?